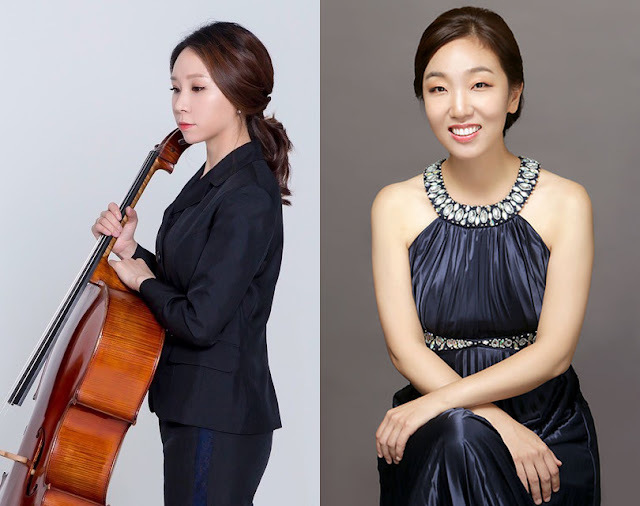 Yeonwoo Seo and So Jung Kwak will perform during the recital. WHAT: The University of Illinois Springfield Music Program presents a Cello Faculty Recital featuring cellist Yeonwoo Seo, a UIS adjunct professor, and pianist So Jung Kwak, coordinator and lead instructor in the Piano Laboratory Program at the University of Illinois at Urbana-Champaign. The recital is free and open to the public. WHEN: Wednesday, December 5, 2018, at 7 p.m. DETAILS: The musicians will present a recital comprised of work by composers Claude Debussy, Darius Milhaud, Maurice Ravel and Arthur Honegger. Seo teaches applied cello lessons and directs the UIS Cello Choir. As an active chamber and orchestral musician, Seo is a cellist in the Meliora Trio who won second prize in the Misbin Chamber Competition in Washington D.C. She was also named a finalist for The American Prize in Chamber Music Professional Division in 2016. Seo has also played in the Estempe Trio and has been playing in the Illinois Symphony Orchestra since 2012, in addition to the Champaign-Urbana Symphony Orchestra and Sinfonia da Camera. Outside of UIS, her teaching experience includes serving as a teaching assistant at Eastman School of Music and serving as an instructor for the Illinois Summer Youth Music Program. As a professional soloist, Kwak has performed throughout the United States and Asia. She completed her doctorate in musical arts at the University of Illinois at Urbana-Champaign under the mentorship of internationally renowned pianist and music director of Sinfonia Da Camera, Ian Hobson. Admission to the concert is free, however donations are welcome in support of the UIS Music Student Merit Award. For more information on the recital, contact the UIS Music Program at 217/206-6240 or music@uis.edu. WHEN: Friday, November 30, 2018, at 7:30 p.m. Directed by Associate Professor of Ethnomusicology Sharon Graf, the UIS Chorus will perform several works including “December Snow” by Hellen Bell/ Franz Schubert and a Jamaican folk song, “Liza (Water Come a Me Eye), arranged by Steven Burnett. 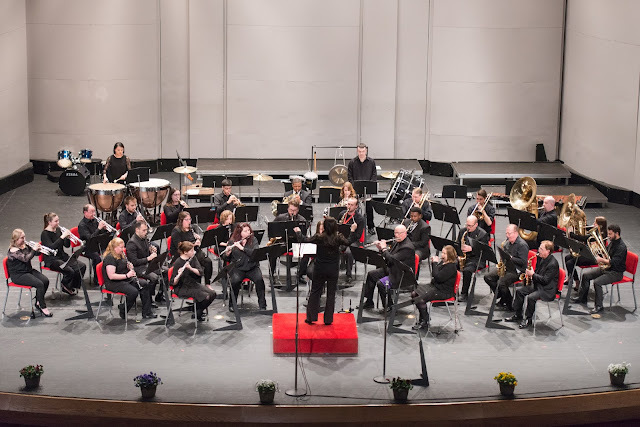 The UIS Band will close the program, under the direction of Applied Music Specialist Abigail Walsh, with works including “Symphonic Suite from Harry Potter and the Goblet of Fire” by Patrick Doyle and “A Childhood Remembered” by Rossano Galante. The University of Illinois Springfield Visual Arts Gallery will hold its annual silent auction and benefit fundraising exhibition starting on Monday, Dec. 3, 2018. All events are open to the public. The auction will offer more than 100 items donated by local and regional artists. Ceramics, photography, glass, painting and drawing, crafts and more will be available at the auction. 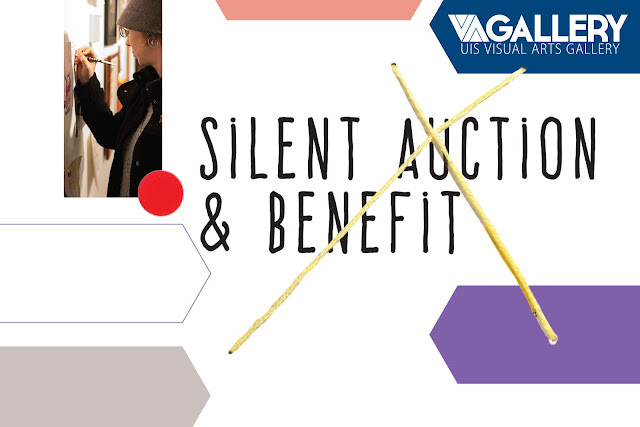 This event guarantees something for everyone, plus great food, drinks and fun all in support of the UIS Visual Arts Gallery mission. Bidding begins on Monday, Dec. 3 and a closing event, along with final bidding, will take place on Thursday, Dec. 6 from 5:30-7 p.m. in the Visual Arts Gallery, room 201 in the Health and Science Building on campus. This year, the event will also feature a performance by UIS Music Camerata scholarship students from 5:30-6:30 p.m. Abigail Walsh, director of the program, will lead performances by a string quartet, soloists, and a voice, violin and piano trio. WHAT: The University of Illinois Springfield and the Illinois State Historical Society will co-host the Illinois History Symposium celebrating Illinois’ Bicentennial on statehood day. Illinois became a state on December 3, 1818. The symposium will explore Illinois’ first 200 years of history through a variety of historical presentations. WHEN: Monday, December 3, 2018, from 9:30 a.m. to 4 p.m. DETAILS: Symposium speakers will include Michael Wiant, former head of anthropology at the Illinois State Museum and director of Dickson Mounds Museum; Bill Kemp, librarian and archivist of the McLean County Museum of History; Hinda Seif, UIS associate professor of sociology/anthropology and women & gender studies; Tiffani Saunders, UIS instructor of sociology and African American studies; Devin Hunter, UIS assistant professor of public history; and Robert Sampson, associate professor of history at Millikin University. Members of the public are invited to participate in the morning and afternoon sessions from 9:30 a.m. to 11:30 a.m. and 1:45 to 3:45 p.m. free of charge. For a full schedule go to http://go.uis.edu/LLfall2018. As part of the Lunch & Learn Series, a hot buffet at a cost of $23/per person is required for those who attend the 11:30 a.m. presentation. Reservations for the lunch presentation are requested, as seating is limited. The registration deadline is one week prior to the event. WHAT: The University of Illinois Springfield Music Program presents “Magic and Mysticism” - a magical musical and visual multimedia experience featuring performances by the UIS Band, jazz ensemble, flute choir and Camerata Scholarship students. WHEN: Friday, November 16, 2018, at 7:30 p.m. DETAILS: Come join the UIS music ensembles for a dramatic musical and visual multimedia experience featuring music from Harry Potter, Jurassic Park, Hansel and Gretel and more! A night of magical music will be enhanced by storytelling, still and animated visual representations and lighting effects. This concert marks the premiere of the UIS Jazz Ensemble under the direction of Adjunct Professor Robert Sears. The group will open with “Queen Bee” by Count Basie and arranged by Sammy Nestico. Other works include pieces by Duke Ellington, Pat Metheny and Jaco Pastorius. 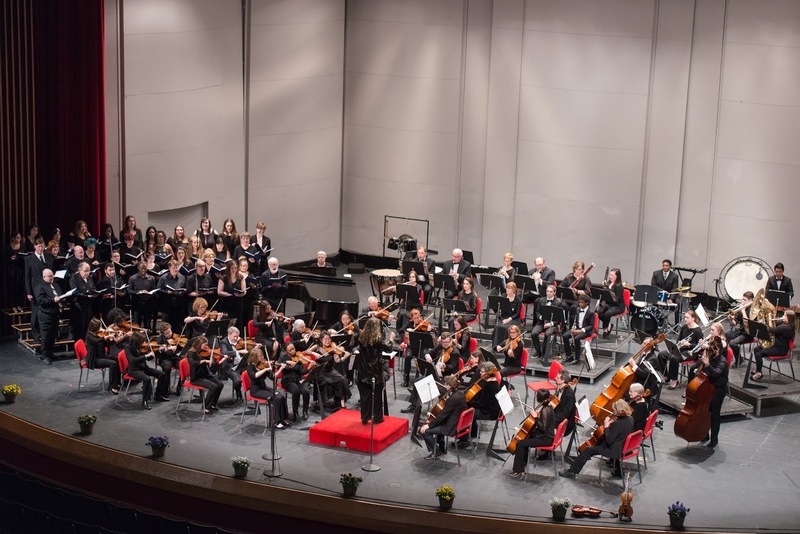 Also included in the first half is a medley of folkloric songs from Mexico performed by the UIS Flute Choir and an arrangement of “Queen of the Night” from Mozart’s “The Magic Flute” performed by a brass ensemble consisting of Camerata scholarship students. 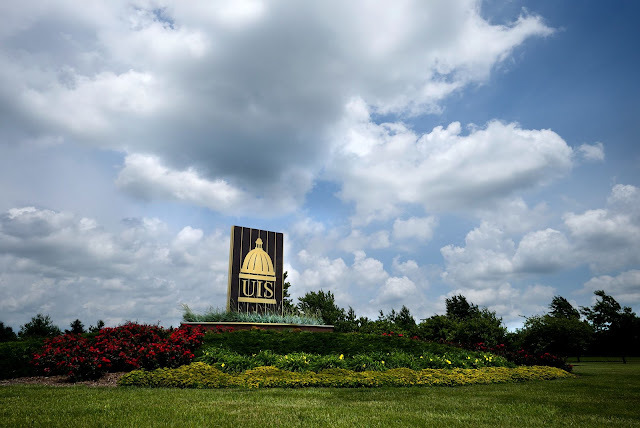 Anyone who is interested in joining the UIS Chorus, Band, Jazz Ensemble or Orchestra may contact Abigail Walsh at 217/206-7549 or music@uis.edu. The University of Illinois Springfield Career Development Center is asking Springfield-area residents to donate clean, new or gently used, ready to wear professional clothing for students to wear to job interviews and internships. 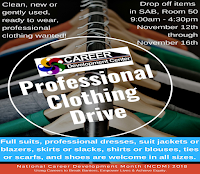 The professional clothing drive is being held as part of National Career Development Month. 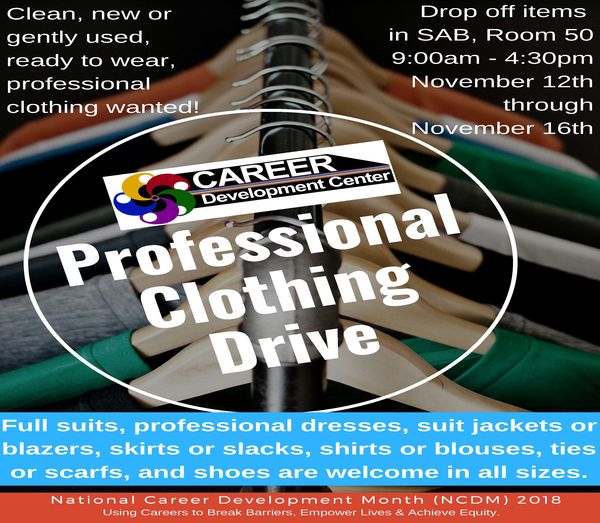 This year, the Career Development Center is specifically asking for donations of full suits, professional dresses, suit jackets or blazers, skirts or slacks, shirts or blouses, ties or scarfs and shoes. Donations may be dropped off at the UIS Career Development Center, located in the Student Affairs Building, Room 50, on the east side of the UIS campus Nov. 12-16 from 9 a.m. to 4:30 p.m. Clothing will be distributed to students Nov. 26-30 during the UIS Professional Clothing Closet event. For more information, contact the UIS Career Development Center, at 217/206-6508 or careerservices@uis.edu. 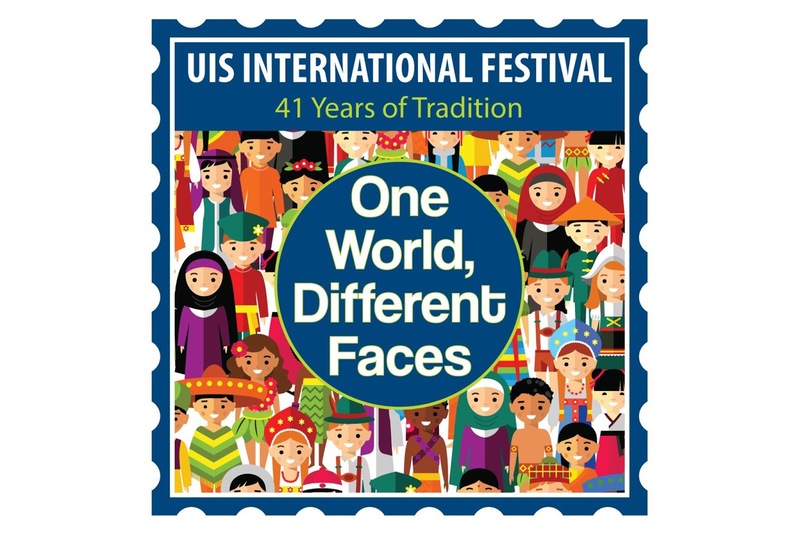 UIS presents the 41st annual International Festival celebrating "One World, Different Faces"
WHAT: The University of Illinois Springfield invites the Springfield community to join us for the 41st annual International Festival. The longest running student-led program in the history of UIS, the festival features fun and games from around the globe, cultural performances and exhibits, plus a variety of ethnic foods. Admission is free. WHEN: Friday, November 2, 2018, from 5-8 p.m. DETAILS: For 41 years, the University of Illinois Springfield family has celebrated its rich international and cultural diversity with the annual International Festival. Many of our friends from the greater Springfield community will be joining UIS students, faculty, and staff to share an evening of cultural exhibits, artistic performances and food tasting. Guests are invited to pick up a program as they enter so they can find their way to the many exhibits, food tastings and performances. Guests are encouraged to spend some time getting to know people you have never met before, literally from every part of our world. According to Fall Semester 2018 census numbers, a total of 434 international students are enrolled at UIS from 32 countries. WHEN: Friday, November 9, 2018, at 6 p.m. DETAILS: Blacks in Green, a Chicago-based organization, seeks to create self-sustaining and healthy black communities using a whole systems approach that includes fostering green villages. Visionary founder Naomi Davis will discuss how she is working on urban systems to build green local economies in black communities. The vision of her organization is to create walkable, vibrant, villages where people work, live, learn and play. Her approach is a whole-system, combining principles of micro-lending, local renewable energy generation, low-income green housing and green epicenters to build strong urban communities. Davis, is a Chicago attorney, entrepreneur, activist and granddaughters of Mississippi sharecroppers. 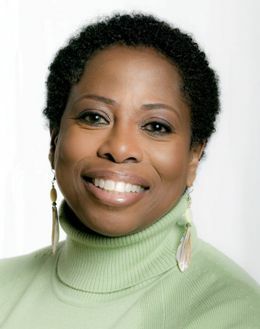 She is president and founder of Black in Green. She serves on the boards of the Illinois League of Conservation Voters and Climate Justice Chicago, the steering committees of the Chicagoland Green Collar Jobs Initiative, Chicago Green Jobs for All and many others. 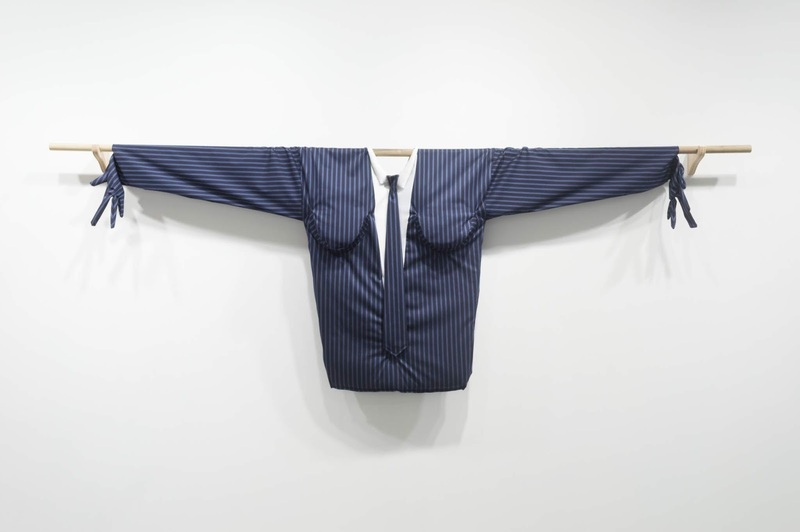 The University of Illinois Springfield Visual Arts Gallery will unveil a new art exhibit entitled “Love You Bro” by Chicago-based artist Stephanie Graham and host a Engaged Citizenship Common Experience (ECCE) Speaker Series discussion called “Spielberg, Diddy, Oprah and Me” on Thursday, Nov. 1, 2018, as part of an exploration of race in art. The art exhibit, “Love You Bro,” will open on Thursday, Oct. 25 and run through Thursday, Nov. 15. On Thursday, Nov. 1, “Spielberg, Diddy, Oprah and Me,” an ECCE Speaker Series lecture, discussion and visual presentation by curator, writer, and artist advocate Tempestt Hazel will serve as the opening event from 5:30 to 6:30 p.m. in Brookens Auditorium. The ECCE presentation will immediately be followed by a reception for “Love You Bro” in the UIS Visual Arts Gallery from 6:30 to 8 p.m.
As part of this special collaboration, Hazel will lead a discussion and Q&A session featuring Graham during the ECCE event. Hazel will also discuss the work she has done to promote art and artists who work along the margins outside of mainstream historical narratives across the spectrum of gender, race, ability and being. Hazel is the founding editor of Sixty Inches from Center, and the art program officer for the Field Foundation of Illinois. 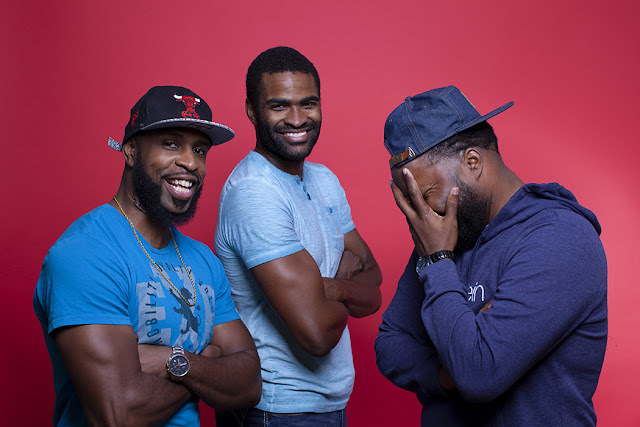 Artist Stephanie Graham’s exhibit “Love You Bro” will explore relationships and how affection is expressed between black men. As an African-American artist, Graham’s photographs, videos, and installations are armed with humor, satire, and soul in an effort to make otherwise difficult conversations on race and gender easier and more comfortable in this increasingly divisive political and cultural climate. Hazel has worked in arts administration, curating and multidisciplinary programming at Chicago's Department of Cultural Affairs and Special Events (DCASE), Chicago Artists Coalition, Chicago Park District and Arts + Public Life at the University of Chicago. Her exhibitions and research have been displayed in the Chicago-area and nationwide and her writing has been featured in several prominent publications. Five faculty members from the University of Illinois Springfield will present their research as part of the 2018-2019 Faculty Scholarship Series. All presentations are free and open to the public. Adriana Crocker, UIS professor of political science; Lucia Vazquez, UIS associate professor of biology; and Hinda Seif, UIS associate professor of sociology, will discuss “Research Opportunities at the University of Colima, Mexico” on Nov. 7 from 6 to 7 p.m. in Public Affairs Center, Conference Room H.
On Nov. 14, Kristi Barnwell, UIS associate professor of history, will present “The United Arab Emirates and Arab History: State formation in the 20th century” from 5 to 6 p.m. in the Public Affairs Center, Conference Room H.
On Jan. 30, Michael Cheney, UIS professor specializing in communications, media and politics, popular music and society, will present “Are We There Yet? Bits and Bytes of the History of Presidential Campaign Advertising in the Internet Age” from 5 to 6 p.m. in the Public Affairs Center, Conference Room F.
The Faculty Scholarship Series started in September with a lecture on “Gap Analysis: An Innovative Look at Gateway Courses and Student Retention,” by educational leadership faculty members Karen Swan, Bill Bloemer, Scott Day and Leonard Bogle. 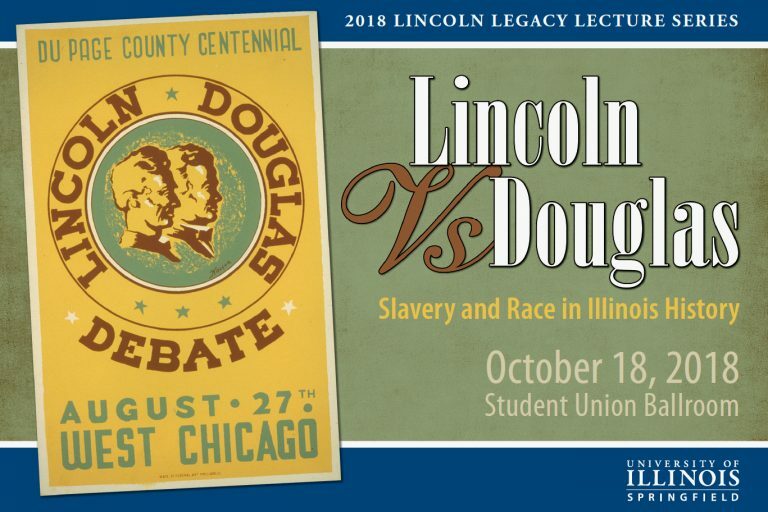 The 16th annual Lincoln Legacy Lectures presented by the University of Illinois Springfield Center for Lincoln Studies will be held from 7 to 9 p.m. on Thursday, Oct. 18, 2018, in the Student Union Ballroom at UIS. This year’s topic is “Lincoln versus Douglas.” The lectures, and a reception and book signing that will immediately follow, are free and open to the public. No reservation is required. Doors will open at 6 p.m. This year’s featured speakers are Graham Peck, professor of history at Saint Xavier University, and Roger Bridges, former head of the Lincoln Legal Papers. Michael Burlingame, the Chancellor Naomi B. Lynn Distinguished Chair in Lincoln Studies at UIS, will give opening remarks on “Lincoln and African Americans” and serve as moderator. In the first lecture, Peck will describe “Why Did Slavery Matter in Illinois? Lincoln, Douglas, and the Nation’s Battle over Freedom.” In the second lecture, Bridges will explore “Race Relations in Lincoln’s Illinois.” The speakers will discuss the contemporary implications of their lectures at the beginning of the Q & A session. Peck is the author of a prize-winning book “Making an Antislavery Nation: Lincoln, Douglas, and the Battle Over Freedom” (University of Illinois Press, 2017). Bridges co-edited the book “Illinois: Its History and Legacy” (River City, St. Louis, 1984). Burlingame is the author of the two-volume biography “Abraham Lincoln: A Life” (Johns Hopkins University Press, paper, 2012). The Lincoln Legacy Lecture Series is sponsored by the UIS Center for Lincoln Studies, in cooperation with the Chancellor Naomi B. Lynn Distinguished Chair in Lincoln Studies. Cosponsors of this year's event include the Abraham Lincoln Association, Brookens Library John Holtz Memorial Lecture, Gobberdiel Endowment, Illinois State Historical Society, Looking for Lincoln Heritage Coalition, NPR Illinois, UIS Performing Arts Center; UIS Colleges of Liberal Arts and Sciences, Business and Management, Public Affairs and Administration and Education and Human Services; and the UIS Office of Advancement. For more information, contact the UIS College of Liberal Arts and Sciences at 217/206-6512. UIS Speaker Series examines "What Happened in the 2016 Election?" WHEN: Monday, October 29, 2018, at 7 p.m. DETAILS: The 2016 election produced results that few scholars and pundits predicted. This lecture will examine the results of the 2016 election, while exploring how our nation is now more ethnically and racially diverse than at any other time since WWII. University of Notre Dame Professor Luis Ricardo Fraga will tell the audience how the 2016 election can help us understand future elections and the likely consequences of the choices our country’s leaders and citizens make on future generations of Americans. 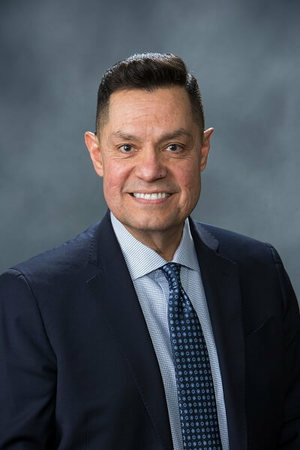 Fraga serves as the director of the Institute for Latino Studies, the acting chair of the Department of Political Science and the Notre Dame Professor of Transformative Latino Leadership. He is a fellow for the Institute for Educational Initiatives at the University of Notre Dame and has been on the faculty at Stanford University and the Universities of Washington and Oklahoma. 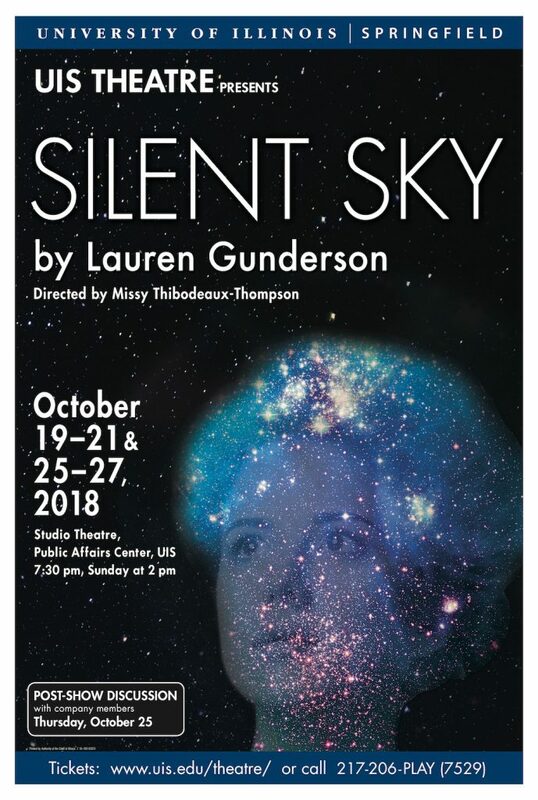 The Theatre Program at the University of Illinois Springfield will present Lauren Gunderson’s play “Silent Sky” opening Friday, October 19. Six performances will be presented in the Studio Theatre, on the lower level of the Public Affairs Center at UIS, on Friday, Saturday, Sunday, Oct. 19, 20, 21 and Thursday, Friday, Saturday, Oct. 25, 26, 27. All shows will begin at 7:30 p.m., except the Sunday performance (Oct. 21), which will begin at 2 p.m. The play chronicles the life of Henrietta Swan Leavitt and the real women "computers" working at the dawn of modern astronomy. “Silent Sky” is a celestial romance and true story of discovery. Missy Thibodeaux-Thompson, UIS associate professor of theatre, will direct the production. Dathan Powell, UIS associate professor of theatre, will be the scenic designer and technical director. UIS Theatre student and Sangamon Auditorium stage hand David Hecht is the lighting designer. There are two guest artists involved in this production: Dave Cain of UMedia is the sound designer and Lauren Lowell, associate professor of costume design at Illinois State University, is the costume designer. The cast includes UIS students Dominique Abiagom, Ethan Heilman, Shea Lanier and Sherri Mitchell with community member Ashley Pruitt playing the role of Henrietta Leavitt. UIS students Aislinn Diaz and Katie Simpson serve as understudies. UIS Lunch & Learn Series presents "Governor’s Mansion & Gardens"
WHAT: The University of Illinois Springfield’s Office of Advancement, Alumni SAGE Society and the Illinois State Historical Society presents “Governor’s Mansion & Gardens” as part of the Lunch and Learn Series. WHEN: Tuesday, October 23, 2018, from 11:30 a.m. to 1:30 p.m. DETAILS: Justin Blanford, curator of the Illinois Governor’s Mansion, will present “A Gift to the People: The 162-year-old Governor’s Mansion.” Restoring the historic Springfield residence of the Illinois governor and first family was a huge undertaking. Now a museum with an education center, the mansion has reopened to the public and it’s time to take a look inside. Sue Massie, a landscape architect with Massie & Associates, will present “The Governor’s Garden: What Goes Into Planning a Garden on a Grand Scale, and What Do You Plant for the Past and Future?” She will discuss all that has gone into planting the celebrated and historic gardens of the Governor’s Mansion. Other upcoming Lunch & Learn events include “Celebrating Illinois Statehood Day” on Dec. 3. These lunch-time programs will stimulate thinking as they build upon the University’s tradition of open and intelligent dialogue. Visit www.go.uis.edu/LLfall2018 to register online. For more information, contact the UIS Office of Advancement at 217/206-6058 or email advancement@uis.edu. WHAT: The University of Illinois Springfield History Department invites members of the public to bring photographs, documents, or any item connected to their Illinois history to a History Harvest in downtown Springfield. UIS students will photograph or scan the items for inclusion in an online digital archive and exhibit. Participation in the event is free. WHEN: Saturday, October 13, 2018, from 10 a.m. to 2 p.m. DETAILS: This year’s History Harvest theme commemorates the Illinois state bicentennial and has been officially endorsed by the Illinois State Bicentennial Commission. The public is invited to bring materials from Illinois’ distant past, the recent past and today to be scanned and photographed. UIS students will collect information from participants, but items will not be collected. Students from UIS Assistant Professor of History Devin Hunter’s undergraduate public history class and UIS Associate Professor of History Kenneth Owen’s graduate history and digital media class will lead the effort to digitize items for the online digital exhibit. 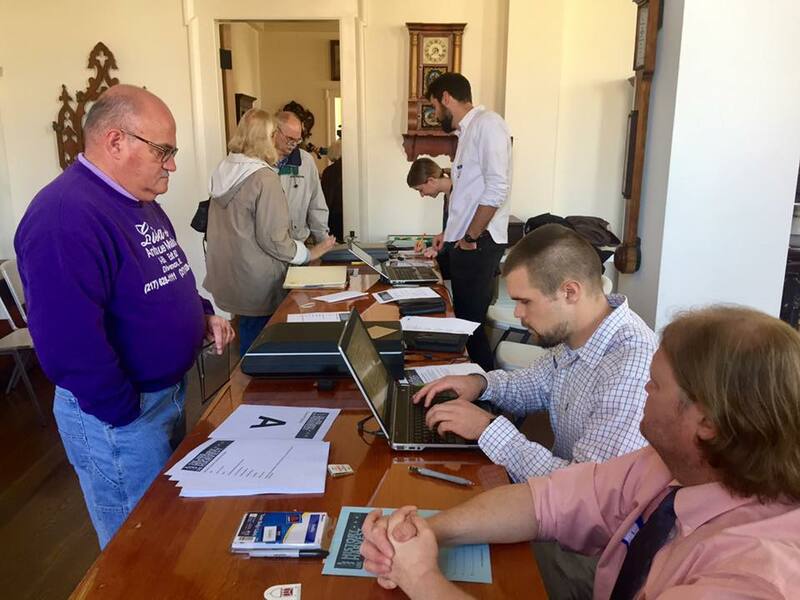 Two years ago, students and faculty of the UIS History Department held the first ever History Harvest in the state of Illinois, in which they digitally “harvested” political memorabilia from the public. The results of that harvest can be found at https://uishistharv1.uis.edu/. WHEN: Wednesday, October 17, 2018, at 7 p.m. This event will encourage individuals to reflect upon ways to encourage our own interpersonal connections. 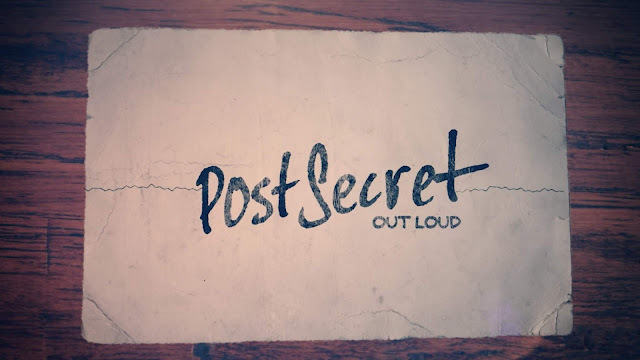 Warren’s discussion will include UIS’ own PostSecret project. Warren is a Springfield High School graduate. He is excited to return to his hometown to discuss PostSecret. The postcards have been featured in five New York Times bestselling books and in the Museum of Modern Art and the Smithsonian. The project earned him a HopeLine Lifetime Achievement Award for his contributions to suicide prevention. Warren has also shared his work surrounding issues of mental illness at the White House. WHAT: The University of Illinois Springfield Muslim Students Organization invites the public to attend a lecture on “Pakistan’s Foreign Policy under the Imran Khan Administration: Implications for the Great powers” featuring Shahbaz Gill, a lecturer of business administration at the University of Illinois at Urbana-Champaign. WHEN: Saturday, September 29, 2018, at 7:30 p.m. DETAILS: In addition to being a faculty member at the University of Illinois at Urbana-Champaign, Gill has served as an advisor to Imran Khan, the current prime minister of Pakistan. Snacks and refreshments will be served at the event. For more information, contact Ali Nizamuddin, UIS associate professor of political science, at 217/206-8424 or aniza2@uis.edu. WHAT: The University of Illinois Springfield Astronomy-Physics Program will host an Accessible Star Party for people with disabilities. This Star Party is intended for people who are not able to participate in a regular Friday Night Star Party and require extra consideration to attend a Star Party. WHEN: Sunday, October 14, 2018, at 6:30 p.m. DETAILS: Accessible Star Parties feature an out telescope designed to accommodate wheel chair access. 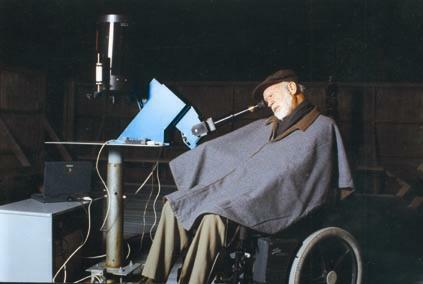 The telescope has a fixed-focal point, so observers using wheelchairs can point the telescope at any direction in the sky without moving. This arrangement eliminates any need to bend over, kneel down or climb a ladder that is typical with other telescopes. The eyepiece is further arranged so that persons who have limited muscle control can comfortably use the instrument. Reservations are required for the Accessible Star Party. Participants will use an elevator to reach the observatory on the roof of Brookens Library (not available during regular Friday Star Parties). During the Star Party, participants can expect to view the Moon and the bright planets Saturn and Mars. Family and friends of people registered for the Accessible Star Party are also welcome and encouraged to attend. This event is being held in addition to the regular public Friday Night Star Parties. 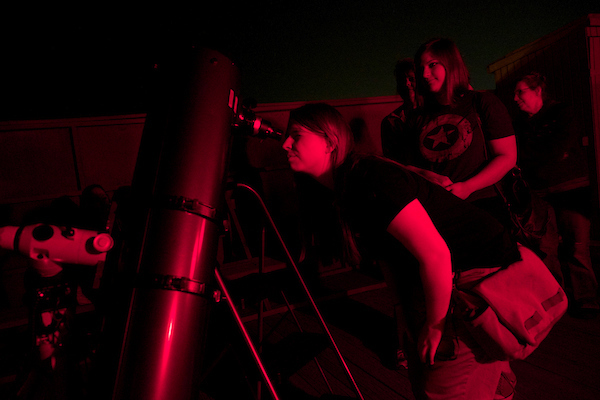 For more information on Friday Night Star Parties visit, www.uis.edu/astronomy/about/starparties/. For information about Accessible Star Parties, or to make a reservation for the October Accessible Star Party, contact John Martin, UIS associate professor of astronomy/physics, at 217/206-8342 or jmart5@uis.edu or visit www.uis.edu/astronomy/about/disabilitysupport/. UIS Lunch & Learn Series presents "Artifacts & Anniversaries"
WHAT: The University of Illinois Springfield’s Office of Advancement, Alumni SAGE Society and the Illinois State Historical Society presents “Artifacts & Anniversaries” as part of the Lunch and Learn Series. WHEN: Wednesday, September 26, 2018, from 11:30 a.m. to 1:30 p.m. DETAILS: Robert Sill, interim director of the Illinois State Museum, will present “Long History: Illinois’ Past in 12 Artifacts.” The Illinois Bicentennial is a significant milestone, but barely scratches the surface of the state’s 10,000 years of cultural history, and fossilized record dating back 50 million years. Pam VanAlstine, co-chair of the Illinois Bicentennial Coordinating Committee of Springfield, will present “Commemorating the State’s 200th Anniversary: A Primer for the Next Century.” Planning the party of parties requires wonderful ideas, patience and forbearance. Other upcoming Lunch & Learn events include “Governor’s Mansion & Gardens” on Oct. 23 and “Celebrating Illinois Statehood Day” on Dec. 3. These lunch-time programs will stimulate thinking as they build upon the University’s tradition of open and intelligent dialogue. The University of Illinois Springfield Visual Arts Gallery is pleased to present “Let the fancy,” a group exhibition co-curated by Jeff Robinson, gallery director, and Allison Lacher, exhibitions manager. The exhibition will open on Thursday, September 27, and will run through Thursday, October 18. A reception for the exhibit will take place on Thursday, September 27, from 5:30 to 8 p.m. The exhibition is based on John Keats’ poem “Let the fancy” that praises the mind and its ability to conjure scenes of pleasure and abundance. The works in “Let the fancy” play upon both meanings, taking Keats’ imaginary splendor into unlikely places. Faced with the banality, disorder, and absurdity of ordinary life, the artists in this exhibition assert the richness of fancy materials and designs: whether on a band-aid, a veil, or gnawed velvet, fanciness exists here in a testy and comical relationship with the everyday. “Let the fancy” features a variety of mixed-media works, among them bejeweled Budweiser cans, a custom fragrance to be worn by gallery staff, fabric formalwear abstractions, fragmented crystals and a silky pink sari embellished with silky hair, among others. Exhibiting artists whose work will be part of “Let the fancy” include Matt Morris (Chicago, Illinois), Rose Nestler (Brooklyn, New York), Sherwin Ovid (Chicago, Illinois), Preetika Rajgahiah (Houston, Texas) and Elise Warfield (State College, Pennsylvania). WHAT: The University of Illinois Springfield Engaged Citizenship Common Experience (ECCE) Speaker Series will present two free workshop on “Leading from the Middle” taught by Kevin Purcell, a UIS adjunct faculty member and retired Microsoft senior manager of organization development. Thursday, Oct. 4, 2018, at 6 p.m.
Wednesday, Oct. 24, 2018, at 6 p.m. DETAILS: Middle positions are those in which supervisors, middle managers, coaches, deans, department heads and others must function between the conflicting perspectives and demands of those above and below them. The “Leading from the Middle” workshops will provide specific leadership tips for each level of any human system and illuminate possibilities for change that empowered “middles” can make in organizations. Participants will be divided into tops, middles, bottoms and customers and lead through two separate organization simulations. A debrief and a short lecture based on the principles of Power and Systems founder, Barry Oshry, will follow. Purcell is a prominent UIS alum. He has been an adjunct faculty in the UIS College of Business since 2008. He has done consulting work with the Gates Foundation and Memorial Health Systems of Central Illinois. The workshops are free and open to UIS students and the public. However, registration is required for the workshops. Participants may register online for the Oct. 4 workshop at https://go.uis.edu/Oct4 and at https://go.uis.edu/Oct24 for the Oct. 24 workshop. WHAT: The University of Illinois Springfield Engaged Citizenship Common Experience (ECCE) Speaker Series presents “Intersex: Stories Not Surgeries” featuring speaker Pidgeon Pagonis, an intersex activist, educator and filmmaker from Chicago. The talk is free and open to the public. WHEN: Tuesday, October 2, 2018, at 7 p.m. DETAILS: The speaker will discuss how, for over a century, intersex people have had no voice in their medical “care” and “treatment”, which has led to dire consequences. Key events throughout intersex history will be introduced to help participants understand why intersex activists across the globe have united to demand intersex bodily autonomy and justice. Pidgeon has a decade’s worth of experience giving talks and facilitating intersex workshops around the globe. 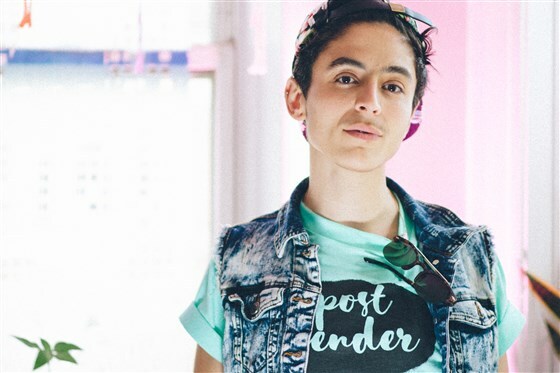 In 2016, Pagonis was featured on the cover of National Geographic’s January issue titled “Gender Revolution.” Pagonis has launched an intersex-resource YouTube channel, co-founded the group Intersex People of Color for Justice (IPOCJ), introduced an intersex and non-binary art and clothing line and also made a cameo on Amazon’s “Transparent”. Pagonis was among nine LGBTQ artists honored with a Champion of Change Award in 2015 from the Obama White House. This event is co-sponsored by the UIS Diversity Center, Gender and Sexuality Student Services, Women's Center, Women & Gender Studies, Department of Sociology/Anthropology and the University of Illinois at Chicago College of Nursing - Springfield Regional Campus. University of Illinois Springfield Chancellor Susan Koch and the University of Illinois System Chief Procurement Officer Ben Bagby will host a Diverse Business Opportunity Fair featuring representatives from several state universities and community colleges. Diverse businesses in the community interested in doing business with the state of Illinois’ public universities and community colleges are invited to attend the event on Wednesday, Sept. 12, 2018, from 10:30 a.m. to 3 p.m. in the UIS Student Union Ballroom, 2251 Richard Wright Drive, Springfield. Working cooperatively with the state universities to increase participation by minority, women, persons with disabilities and veteran-owned firms in higher education procurement is a top priority for the University of Illinois System. 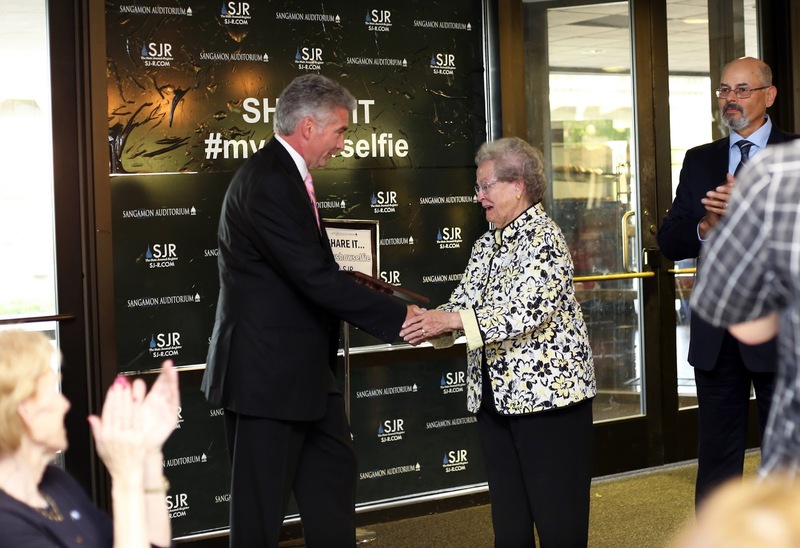 Chancellor Koch recognizes that these types of events are imperative in propelling economic growth and vital to establishing connections and collaborative relationships. “Not only is our campus able to benefit from connecting with exceptional diverse businesses, other state universities and colleges participating have a vast array of needs that these firms are capable of meeting. 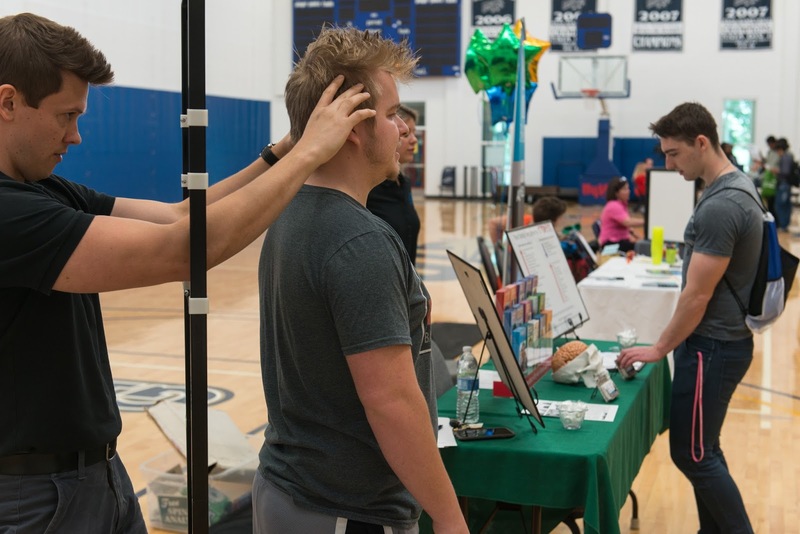 Participating in the fair is a great way to gain a better understanding of what those needs are and who the decision makers are,” said Koch. Bagby said the state has substantial opportunities for diverse firms to participate in the procurement and contracting process. He added, “It’s important that diverse businesses know that the state values their business and are always looking for new ways to expand the diverse supplier network. One way we are doing this is by reviewing the contract renewal process to ensure that the Business Enterprise Program (BEP) policies and goals are properly taken into account before a contract is renewed. This is a great example of a new process where a BEP goal can be established or increased,” Bagby finished. 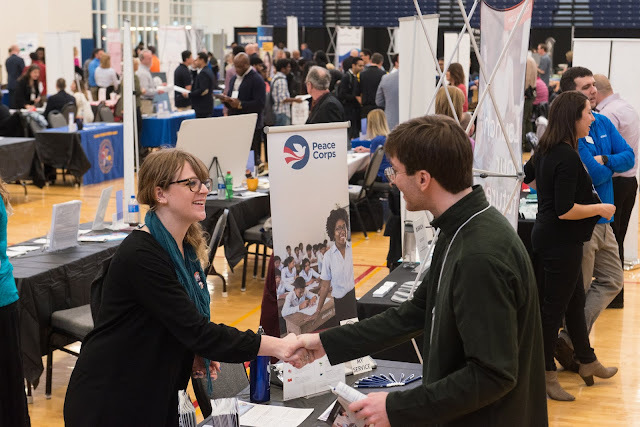 The Diverse Business Opportunity Fair is sponsored by the Chief Procurement Office and organized by the University of Illinois and is open to all businesses who desire to do business with the state of Illinois public universities and colleges. There will also be prime contractors there who are interested in establishing partnerships with small and diverse businesses. Businesses who are planning to attend the fair are strongly encouraged to register online. For more information, contact Jill Menezes, UIS director of purchases, at 217/206-6651 or jmene1@uillinois.edu. WHAT: The University of Illinois Springfield Engaged Citizenship Common Experience (ECCE) Speaker Series will host a panel discussion exploring the Displaced Persons Act of 1948, which gave European refugees the ability to immigrate to the U.S. following World War II. The panel discussion is free and open to the public. WHEN: Tuesday, September 25, 2018, at 6:30 p.m. DETAILS: This year marks the 70th anniversary of the Displaced Persons Act, which directly impacted the ethnic composition of Illinois, resulting in the influx of a large Lithuanian population in Chicago and Springfield. 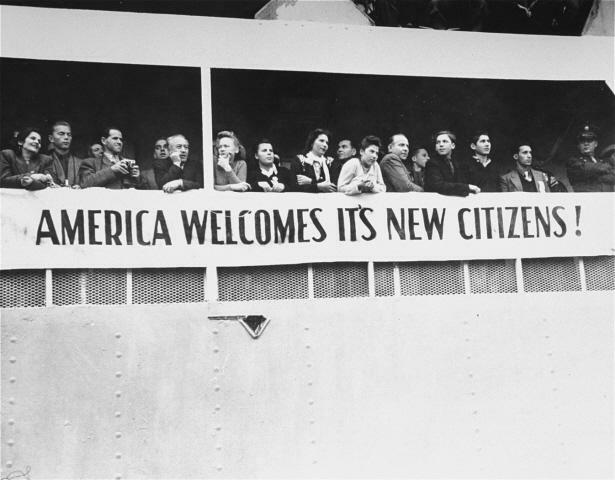 This panel discussion will examine how immigration at local and regional levels relates to the broader domestic and international contexts of the post-World War II period. Children of displaced persons will share their stories. The panel discussion of historical immigration policy can also inform our understanding of contemporary refugee crises and immigration debates. Members of the panel discussion include Robert Vitas, chairman of the Lithuanian Research and Studies Center in Chicago and executive director of the Inter-University Seminar on Armed Forces and Society; Sandy Baksys, author of “A Century of Lithuanians in Springfield, Illinois” and president of the Lithuanian-American Club of Central Illinois; Devin Hunter, UIS assistant professor of U.S. and public history; and Heather Bailey, UIS associate professor of modern European and Russian history. This event is co-sponsored by the UIS History Department, Lithuanian-American Club of Central Illinois and the Illinois State Historical Society. 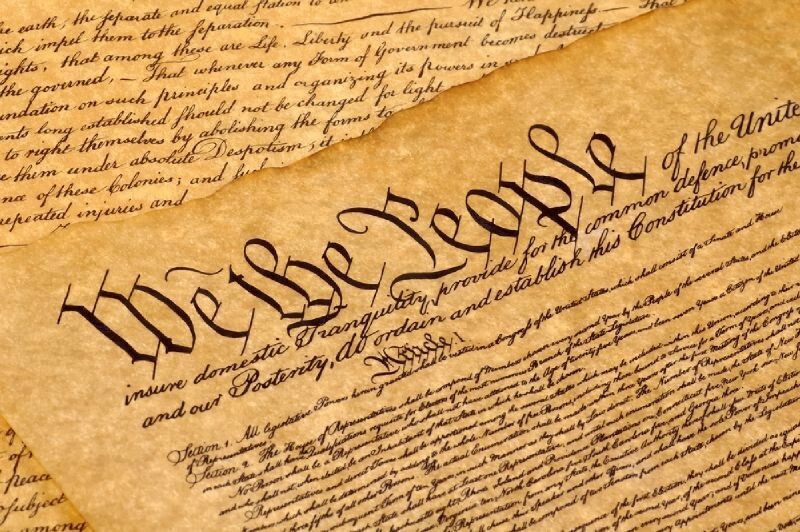 WHAT: In recognition of Constitution Day, the University of Illinois Springfield Engaged Citizenship Common Experience (ECCE) Speaker Series will host a panel discussion on current issues related to free speech, political discourse, race, sexuality and the press. The panel will examine how the U.S. Constitution addresses the civil liberties related to these important issues. The panel discussion is free and open to the public. WHEN: Monday, September 17, 2018, at 6 p.m. DETAILS: Panelists include James LaRue, director of the American Library Association’s Office for Intellectual Freedom, and UIS Legal Studies faculty members Deborah Anthony and Eugene McCarthy. LaRue is the author of “The New Inquisition: Understanding and Managing Intellectual Freedom Challenges” and was a public library director for many years, as well as a weekly newspaper columnist and cable TV host. 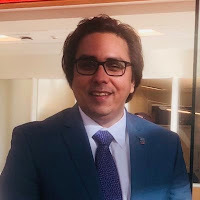 Anthony, an associate professor of legal studies, is an expert on modern and historical gender law and politics, constitutional law and employment discrimination. McCarthy, an assistant professor of legal studies and the director of the UIS Pre-Law Center, is a scholar of constitutional civil liberties, corporate law and white-collar crime. With regard to civil liberties, his published scholarship addresses women’s reproductive rights in the context of constitutional originalism. The University of Illinois Springfield’s popular Friday Night Star Parties will resume the Friday after Labor Day and run through the end of October. Those dates include: September 7, 14, 21 and 28 and October 5, 12, 19 and 26. Friday Night Star Parties are held from 8 to 10 p.m., weather permitting, at the UIS Observatory on the roof of Brookens Library. 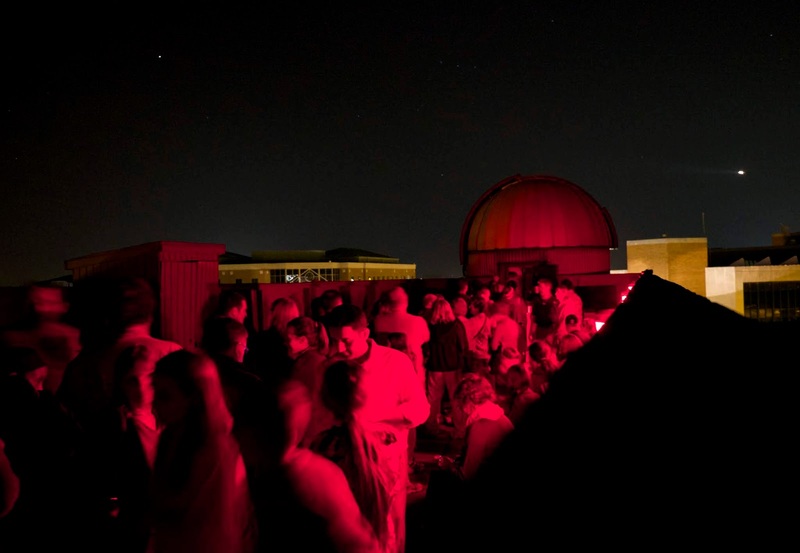 Star Parties are hosted by John Martin, UIS associate professor of astronomy/physics. The observatory’s telescopes will be used to view a number of celestial objects, including the planets Venus, Mars, Jupiter and Saturn; the Moon, when visible; the Ring Nebula; globular star clusters M13 and M15 and other double stars and star clusters. 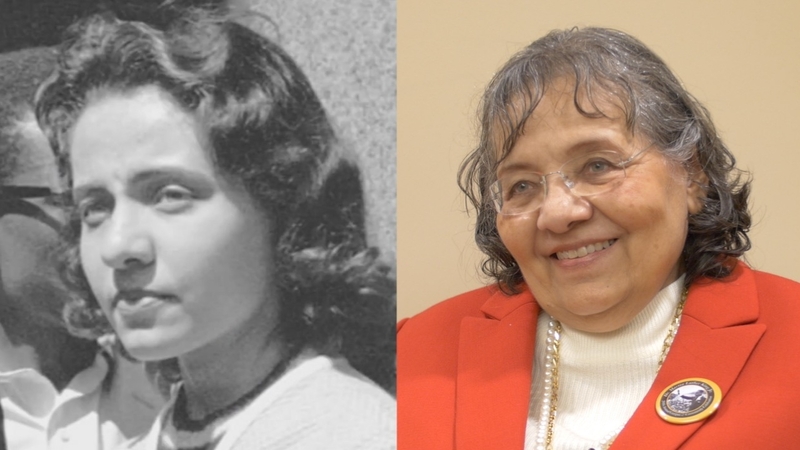 WHAT: The University of Illinois Springfield Engaged Citizenship Common Experience (ECCE) Speaker Series will host civil rights and peace activist Diane Nash as part of a presentation exploring the 1960s civil rights movement and social justice today. WHEN: Thursday, September 13, 2018, at 6 p.m. DETAILS: Diane Nash was prominently involved in some the most consequential campaigns in nonviolent civil rights movements. Nash will relate her experience at the center of the U.S. civil rights struggle, the grassroots movements that powered social change and the relevance of those lessons for a nation facing renewed challenges. In 1960, Nash became the chairperson of the student sit-in movement in Nashville - the first southern city to desegregate its lunch counters - as well as one of the founding students of the Student Non-violent Coordinating Committee. She coordinated the Freedom Ride from Birmingham, Alabama to Jackson, Mississippi in 1961. Her arrests for civil rights activities culminated in Nash being imprisoned for 30 days in 1961, while she was pregnant with her first child. Undeterred, she went on to join a national committee—to which she was appointed by President John F. Kennedy—that promoted passage of the Civil Rights Act of 1964. Nash later became active in the peace movement that worked to end the Vietnam War, and became an instructor in the philosophy and strategy of non-violence as developed by Mohandas Gandhi. This event is co-sponsored by the UIS Student Government Association, Capital Scholars Honors Program, Residence Life, Leadership for Life, Students Transitioning for Academic Retention and Success, Necessary Steps Mentoring Program and the Nursing Pathways Living Learning Community. The University of Illinois Springfield Visual Arts Gallery is pleased to present “digital dusk shadow storage,” an installation by St. Louis-based artist Amanda Bowles. The exhibition will open on Monday, August 27, and run through Thursday, September 20. A reception for the exhibit will take place on Thursday, September 6, from 5:30 to 8 p.m. The immersive installation will feature crystalized tube towers, ghost images, sky blocks, and a large painting of fingers. Bowles is an interdisciplinary artist whose work experiments with temporalities, utilizing material-specific processes to express a yearning for deep-time in the age of no-time. Employing mundane rituals, she constructs artifacts that visualize duration - loosely coalescent aggregates in video, installation, performance and text. Interested in the ways relationships between self and others are evolving, as temporal experience is reframed by digital technologies and publics are rearranged into networks – Bowles works between the on and offline. Her practice demarcates the studio as a site for transformation and transmission, production and performance. Bowles received her bachelors of fine arts from the Kansas City Art Institute and her masters of fine arts in art theory and practice from Northwestern University. She was born in Alexandria, Virginia. She has exhibited nationally at spaces including, Averill and Bernard Leviton A+D Gallery, Chicago; Mary & Leigh Block Museum, Evanston, Illinois; The Luminary, St. Louis; H&R Blockspace, Kansas City; Artist Coalition Gallery, Kansas City; Concrete Utopia, Brooklyn, New York; Public Gallery, Louisville, Kentucky. She has screened work on AcreTV and at P3+, Hammond, Louisiana; The St. Louis Public Library, St. Louis; The Karras Performance Festival, Chicago, Illinois. Bowles is a founding member of Monaco, an artist-owned gallery in St. Louis. WHAT: The University of Illinois Springfield will hold the third annual Prairie Star 5K run/walk to raise money for Girls on the Run of Central Illinois, a local non-profit organization. 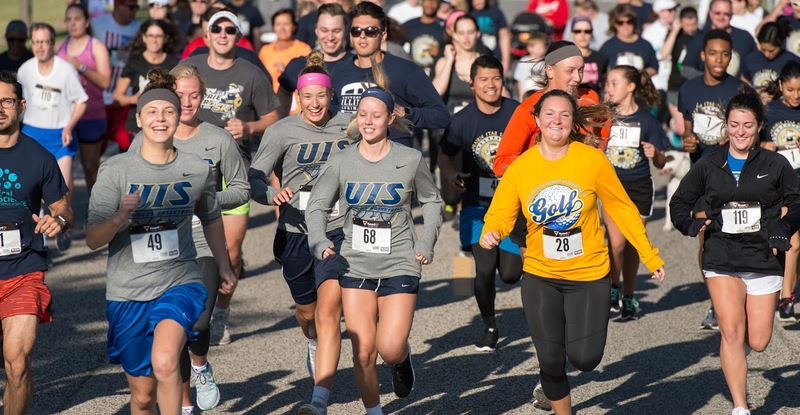 The Prairie Star 5K run/walk is open to UIS students, faculty, staff and community members. WHEN: Saturday, September 8, 2018, at 8:30 a.m. DETAILS: The flat and fast race course will begin outside of The Recreation and Athletic Center (TRAC) and go east along scenic University Drive before entering the heart of campus. The race will end near TRAC on Eliza Farnham Drive where door prizes and awards will be distributed. This year’s race will benefit Girls on the Run of Central Illinois, a 501(c)(3) non-profit organization dedicated to inspiring third through eighth grade girls to be joyful, healthy and confident. The 20-lesson Girls on the Run curriculum combines training for a 5K (3.1 miles) running event with lessons that inspire girls to become independent thinkers, enhance their problem solving skills and make healthy decisions. The cost to register for the Prairie Star 5K run/walk is $8 for UIS students and $13 for faculty, staff, alumni and community. Registration is available online at www.uis.edu/campusrec/. You may also call 217/206-7103 or stop by TRAC in person to register for the race. The deadline to register for the race and be guaranteed a t-shirt is Tuesday, Sept. 4 at 12 p.m. Participants may also register on the day of the race from 7:30 to 8 a.m., however they are not guaranteed a t-shirt. The run/walk is sponsored by UIS Campus Recreation, the Legion of Ladies student organization, UIS Cross Country and Track & Field, Chick-fil-A, SCHEELS, Noodles & Company and Stokes Race Timing Services. WHAT: The University of Illinois Springfield Astronomy-Physics Program, Lincoln Memorial Garden, and the Sangamon Astronomical Society will host a special Star Party to view the annual Perseid meteor shower. WHEN: Monday, August 13, 2018, from 8:30 to 11 p.m. DETAILS: The Perseid meteor shower takes place annually in the beginning of August when the Earth passes through a stream of debris crossing the Earth’s orbit from the Swift-Tuttle. The 2018 shower is predicted to peak between August 13 and August 14. 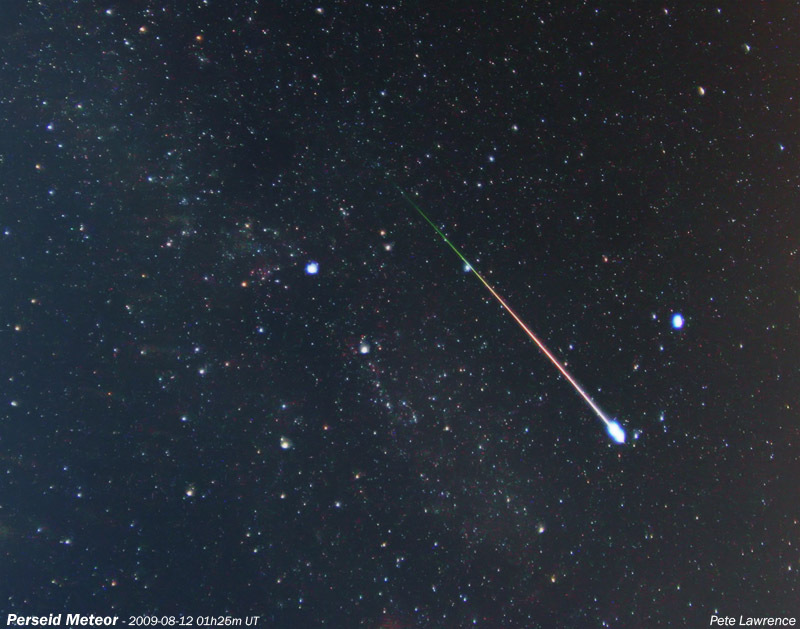 The Perseid meteor show is known for producing more fireball type meteors than any other meteor shower. In a dark location on any given night, between 3 and 5 meteors per hour can be spotted. During the peak of a shower like the Perseids there could be up to 60 meteors per hour. People attending the event at Lincoln Memorial Garden should park in the spaces just off East Lake Shore Drive. Observing will be done in Crawley Meadow across the street from the nature center. Attendees are encouraged to wear bug repellant, dress appropriately for the weather and bring lawn chairs or blankets to sit on. The meteor viewing may be canceled for cloudy weather. Questions about suitable weather viewing should be directed to 217/206-8342 after 7 p.m. on August 13. Updates will also be posted on the UIS Observatory Twitter feed (@UISObservatory). For more information on UIS Star Parties, contact John Martin, UIS associate professor of astronomy-physics, at 217/206-8342 or jmart5@uis.edu. 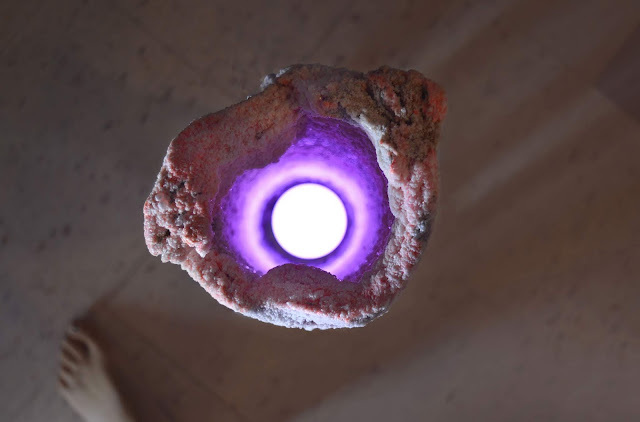 The University of Illinois Springfield (UIS) Visual Arts Gallery is proud to present “Interior Space,” an installation developed by artist Allyson Packer, and in cooperation with Springfield residents. “Interior Space” will open Thursday, July 26, with a reception from 5:30 to 8 p.m. Both artists are currently in residence at the Enos Park Residency for Visual Artists and were brought to Springfield through a partnership with the UIS Visual Arts Gallery. To create “Interior Space,” Packer asked Springfield residents to loan out objects that they “choose to hold on to, but do not keep on public display.” These items, culled from the attics, basements, and closets of Springfield, are the basis for this installation. “Interior Space” does not present objects immediately, but rather engages viewers to find the work. Assemblages incorporating the gallery’s architectural elements form a larger installation that employs hiding, revealing, and discovering as aesthetic strategies. As viewers explore the work, they encounter spaces where the sentimental becomes strange and the overlooked becomes manifest. This experience stems from the artist’s curiosity about the intersection of the familiar and the unseen. “Interior Space” runs through August 11. The exhibit can be seen each Saturday from noon – 4 p.m. or by appointment. Packer engages viewers to re-envision the boundaries of their shared spaces. She earned her MFA from The School of the Art Institute of Chicago and her BFA from the University of North Carolina, Chapel Hill. 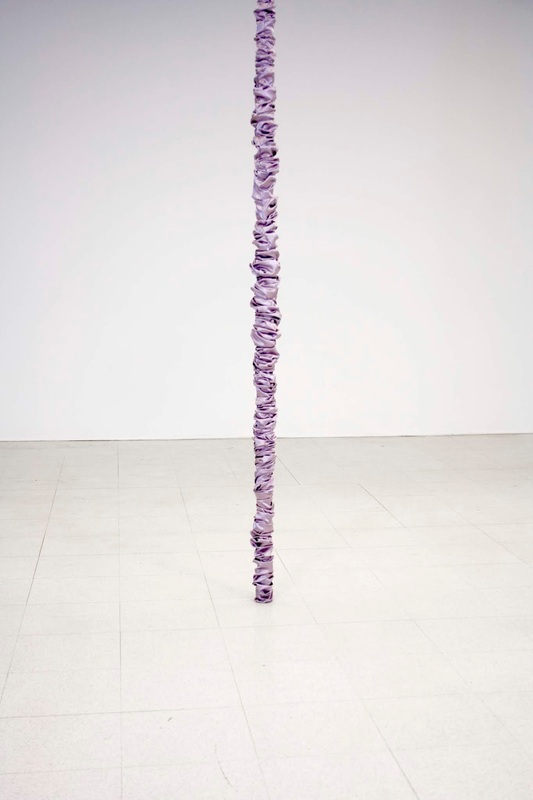 Packer has recently shown work at Nahmad Projects in London and the Hyde Park Art Center in Chicago. She lives in Albuquerque, New Mexico where she is preparing for upcoming solo exhibitions at Vitrine in Albuquerque and Montgomery College in Rockville, Maryland. Buckley’s, “faith comes by hearing” exhibit is a multi-channel audio installation exploring the themes of transience and permanence within Springfield’s Enos Park neighborhood. Recorded through the structures that make up the community, this work translates the sounds of a lively neighborhood as heard by the buildings and objects that so often define it. Symbols of growth and transition abound as the sounds of rain storms, revivals, trains and music are filtered through lamp posts, sculptures and buildings. The resulting impression is at once both familiar and strange as the ephemeral and enduring intermingle in this unfamiliar fashion. Buckley is an artist and composer from Normal. His work focuses on the intersection between sound, power and visibility as it relates to individuals and communities. He is an MS candidate at Illinois State University in the Program in Arts Technology. The Visual Arts Gallery is centrally located on the UIS campus in the Health and Sciences Building, Room 201, and is open from 11 a.m. – 6 p.m. Monday through Thursday. For more information, visit the UIS Visual Arts Gallery website at www.uis.edu/visualarts/gallery, call 217/206-6506 or email alach@uis.edu. 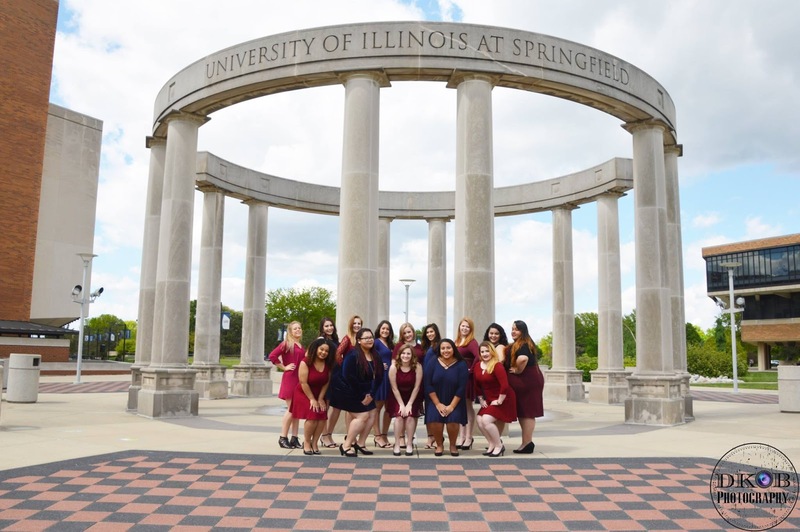 WHAT: The University of Illinois Springfield, Junior League of Springfield and the United Way of Central Illinois will present more than 40 awards to Sangamon County volunteers, non-profit organizations and businesses during the 10th annual Good as Gold Ceremony. WHEN: Monday, April 23, 2018, at 5 p.m. DETAILS: Individuals and organizations will be honored in several categories including Heart of Gold, Youth Volunteer, Organization of the Year and Distinguished Volunteer. The ceremony will also recognize UIS and/or Lincoln Land Community College faculty/staff members and students who have demonstrated an exceptional commitment to service. A total of 21 businesses will be named to the Business Honor Roll. The honor roll recognizes businesses that have given back to our community thought direct service and charitable giving. The 10th anniversary event will additionally honor all of the past Distinguished Volunteer Award winners and provide a special recognition to the founding members of the Good as Gold Committee. Over the past nine years, the ceremony has recognized more than 400 volunteers, 35 companies, and 25 outstanding local nonprofits for freely giving their time and talents to make Springfield a better place to live. For more information, contact Mark Dochterman, visiting assistant vice chancellor for student engagement, at 217/206-8448 or mdoch2@uis.edu. 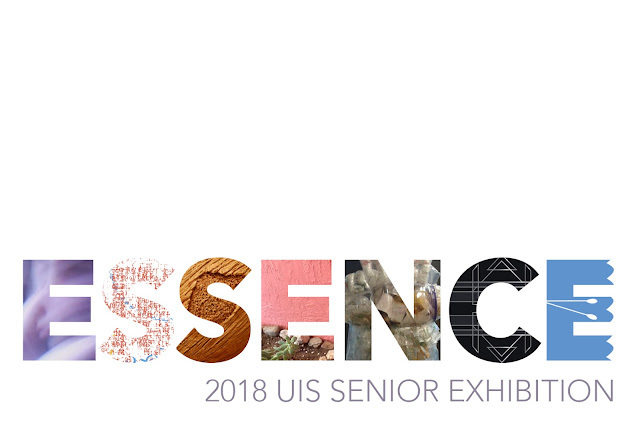 The University of Illinois Springfield (UIS) Visual Arts Gallery is proud to present “Essence”, an exhibition showcasing the creativity and skill sets of the senior Visual Arts majors at UIS. The exhibit will open on Monday, April 23, 2018 and run through Thursday, May 10, 2018. The reception will be held on Thursday, May 3, 2018, from 6 to 8 p.m. All gallery events are free and open to the public. “Essence” spans two campus locations: the UIS Visual Arts Gallery, located in the Health & Sciences Building, room 201, and the Access Gallery, located in the Visual & Performing Arts Building central lobby. A shuttle will be available to transport attendees between the two locations during the reception. Featuring multi-media works produced by the UIS Visual Arts graduating seniors, “Essence” explores the personal awareness of relationships — with nature, individual experience, historical context, or atmosphere. Exhibiting artists include Amber Buscher, Amanda Helm, Sam Helm, Abbi McKinnie, Tristen Sitko, Madison Tucker and Amanda Zoschke. This exhibition will feature ceramics, painting, digital media, photography, animation, installation and mixed media. Each of the student artists have created works that collectively strive to transport the viewer, inviting individuals to immerse themselves and recognize not only how our surroundings affect our emotions, but also how individuals affect the environment. The Visual Arts Gallery is open Monday through Thursday 11 a.m. to 6 p.m. The Access Gallery is open Monday through Friday 10 a.m. to 6 p.m.
WHAT: University of Illinois Springfield students who are part of the Gamma Phi Omega International Sorority, Inc. Chi Chapter will host an American Diabetes Association walk on campus in hopes of raising $3,000 for the association. Members of the Springfield community are encouraged to participate, along with UIS students, faculty and staff. WHEN: Saturday, April 14, 2018, at 9:30 a.m. DETAILS: The American Diabetes Association is Gamma Phi Omega International Sorority, Inc.’s national philanthropy. More than 30 million Americans live with diabetes in America today, and 1.5 million more will be diagnosed with diabetes this year. The money raised from the walk will help with research for a cure for diabetes, as well as providing funding for preventative aids and community support. Anyone interested in participating can register for the walk at www.bit.ly/UISGPhiOADAWalk. A registration fee of $5 should be added to the donation section of the online registration form. There will also be open registration from 8 to 9:30 a.m. the morning of the walk. Questions about the walk may be directed to Abbegayle Stevenson with the Gamma Phi Omega Chi Chapter by email at uis@gammaphiomega.org. 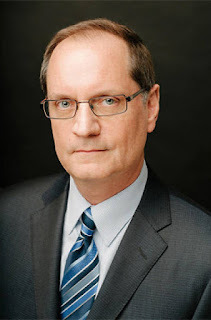 WHAT: The University of Illinois Springfield’s Illinois Innocence Project will hold the 11th annual Defenders of the Innocent fundraising event featuring attorney Jerry Buting from the Netflix documentary “Making a Murderer” and author of “Illusion of Justice.” Buting will speak about the workings of an often flawed justice system, as seen from his view as co-counsel in the sensational Steven Avery case and other innocence cases. DETAILS: The Illinois Innocence Project will also recognize client Bill Amor who was exonerated February 21, 2018, after spending 22 years in prison as an innocent man. Amor was wrongly convicted of arson-murder in 1997 based on faulty fire investigation and a purported confession to starting the fire in a way that experts testified is scientifically impossible. Since its founding in 2001, the Illinois Innocence Project has helped to free 11 wrongly convicted individuals. The Project will present “Defender of the Innocent” awards at this year’s event to The Exoneration Project and to retired Carbondale Police Officer Lt. Paul Echols. The Exoneration Project, a pro bono legal clinic at the University of Chicago Law School, provided critical work toward the exoneration of Bill Amor, by leading the trial team, expending countless resources and giving support before and after Amor's exoneration. Echols exemplifies the ultimate quest for justice in his continuing effort to seek the posthumous exoneration of Grover Thompson, now 22 years after the innocent man died in prison. On average, it takes 7-10 years to free an innocent person from prison, and hundreds of thousands of dollars per case. It also requires a skilled team of litigators and investigators supported by UIS students, volunteers and staff. Registration for the Defenders of the Innocent event is required by Monday, April 23, 2018. Sponsorships are available. For more information or to purchase a seat, visit www.uis.edu/innocenceproject/ or call 217/206-6569. WHEN: Wednesday, April 18, 2018, from 11 a.m. to 2 p.m.